The summer of 1969 saw astronauts land on the moon for the first time and hippie hordes descend on Woodstock for a legendary music festival. For Neil M. Maher, the conjunction of these two era-defining events is not entirely coincidental. With its lavishly funded mandate to send a man to the moon, Apollo became a litmus test in the 1960s culture wars. Many people believed it would reinvigorate a country that had lost its way, while for others it represented a colossal waste of resources needed to solve pressing problems at home. 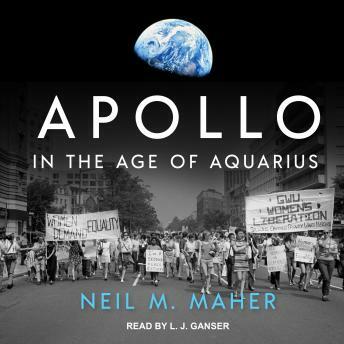 Yet Maher also discovers synergies between the space program and political movements of the era. Photographs of 'Whole Earth' as a bright blue marble heightened environmental awareness, while NASA's space technology allowed scientists to track ecological changes globally. The space agency's exclusively male personnel sparked feminist debates about opportunities for women. Activists pressured NASA to apply its technical know-how to ending the Vietnam War and helping African Americans by reducing energy costs in urban housing projects. Against a backdrop of Saturn V moonshots and Neil Armstrong's giant leap for mankind, Apollo in the Age of Aquarius brings the cultural politics of the space race back down to planet Earth.